Why and How Can Restaurant Acoustics be Managed? One hot topic among restaurant-going customers is the level of noise in the restaurant. The main complaint of restaurant customers is high decibel level sound. Restaurateurs present their establishment as a quiet place or a hot spot to attract more clientele. Often the critics rate acoustics as one of the important aspects in their reviews of restaurants. Often, restaurant customers who complain about the poor service cite noise as one of the main reasons for their complaint. In one “Consumer Reports” surveys of more than 47,000 readers reflecting about 110,000 restaurants experiences at about 100 different chain restaurants, one out of 4 complained of high noise levels at least once during their visit to a restaurant in the recent future. On the other hand, many customers consider restaurants very quiet places and experience boredom there. Customers complain that they feel uncomfortable while talking with fellow diners, because they fear that persons sitting nearby can hear and understand every word they speak. This also causes them to drive away from the restaurant dissatisfied, just as a noisy restaurant drives people away. Research has shown that the ear is most sensitive to speech at a level 48 dBA and 72 dBA. Exposure of more than 2 hours to 100 dBA and 8 hours at 90dBA can lead to permanent damage to hearing. There are multiple causes of excessive noise levels in restaurants. Among them is modernist decor, featuring hard surfaces which helps the sound to reverberate, presence of sound generators in the vicinity of restaurant, open kitchen, live music and crowded spaces with diners packed beyond the limits in tables very close to each other. Moreover, restaurant owners seek out a noisy environment in their restaurants, believing that it signals that the place is very popular among guests and one way to make more money. Noise caused by people trying to talk loud enough to be heard by the other fellow diners is understood. In fact, people talking in a restaurant is considered as the loudest source of noise in the restaurant. In restaurants, people tend to talk with each other in loud voices so that others with them can hear and understand what they have said (also known as the Lombard Effect). Now the acoustic products manufacturers are keen to meet the demands of restaurants for style and sound control with stylized products that use advanced and new technologies and materials to integrate smoothly with the latest design trends that are required for lots of bare and hard surfaces present in the restaurant. It’s no surprise that acoustics are gradually becoming a major feature in building design in general. 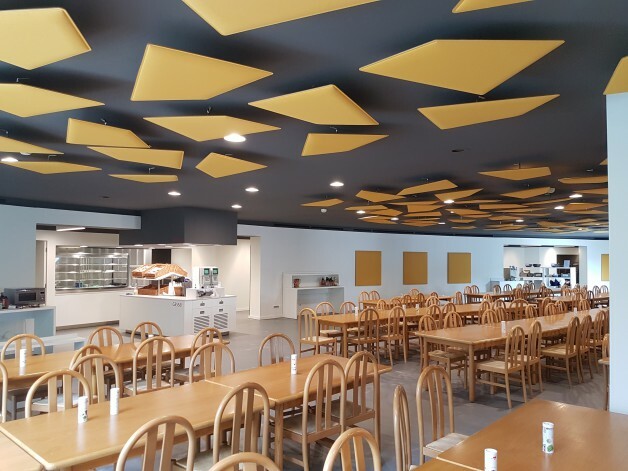 Manufacturers have addressed the problem of acoustics by offering more sustainable acoustic materials, produced in more sustainable ways to be used during the construction of restaurants. Acoustics in restaurant depend on a variety of factors, including the shape, size, height of room, material used and how the things are placed in the room, as different materials absorb and reflect sound in different ways. Acoustics begin with systematic assessments of all the elements and then reach the desired dBA. Acoustic consultants should also take into account the fact that the noise level waxes and wanes throughout the day and even during the dining period. The strategies of managing acoustics in restaurant are very tricky. If done properly, it will improve speech intelligibility and clarity, and allow patrons to complain less about noise in the restaurant. Last but not least, the sound system in the restaurant plays an important role in restaurant noise creation. Manufacturers and acoustical consultants are now well-prepared to provide technical and installation guidance. 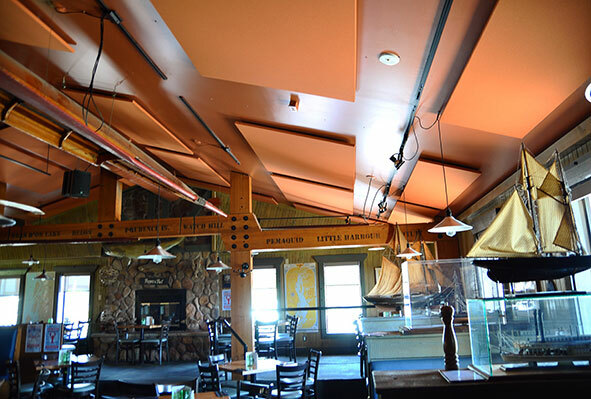 Little Gecko Technology consultants are one of the leading installers of acoustical systems in restaurants in Boston. 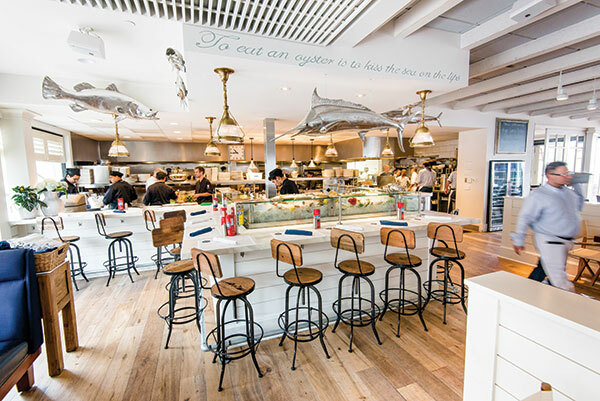 If you are planning to open a restaurant in Boston and need any guidance in restaurant acoustical systems, contact us. We design and install audio equipment with the size and shape of the space in mind to ensure the best quality sound output and listening results. We also assist restaurants in installation and supply of Micro POS Systems, Internet Failover Solutions, Wi-fi Routers and Micro POS Training in Boston.